I would like to start by announcing the winner of Rebecca Minkoff INTERNATIONAL GIVEAWAY - congrats to Christina Surdu from Parma, Italy! 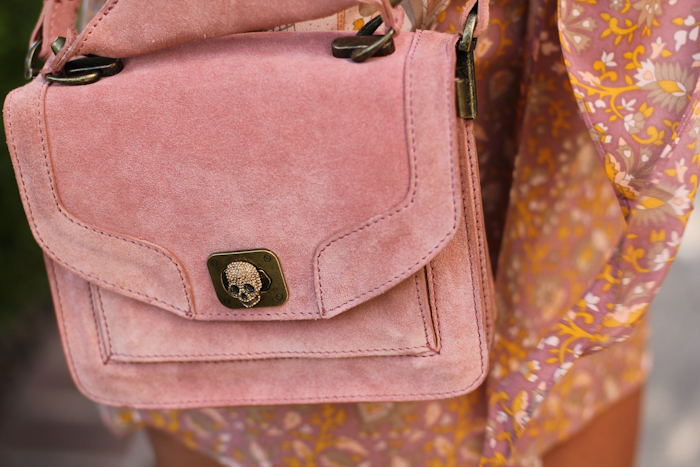 Hope you enjoy wearing your Mini Mac Bag! As you can see, I continue to obsess over my new woven leather flats, this time I decided to pair them with yet another one of my current favorites, a silk Eastern inspired print dress from Winter Kate. What do I love about it so much? Um, ... everything! The colors, print, fabric and style all come together to create a perfect summer dress. Dress it up or down, it's really one of those uber versatile items I love so much! Have a feeling this one is definitely going to be in constant rotation!